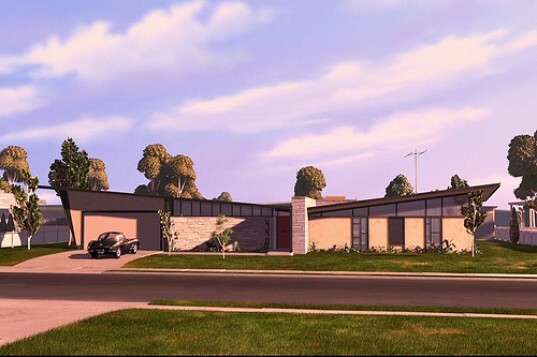 Steve Jobs grew up in a sleepy neighborhood in what was set to become Silicon Valley, in a home designed with simple but strong design elements that spoke to the middle class’ sense of leisure. It turns out that Job’s masterful use of modern design could have been incubated by growing up in that home, which was built by California's Modernist developer Joseph Eichler. 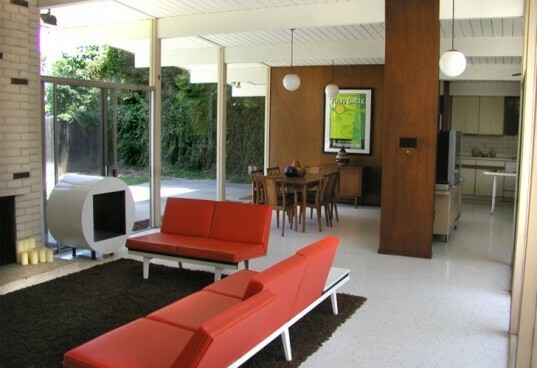 The idea is not too far fetched - in Walter Issicason's biography on the design pioneer, Jobs admits "that his appreciation for Eichler homes instilled in him a passion for making nicely designed products for the mass market". While it may be presumptuous to think that a childhood home can be an elemental starting point for one of our greatest design geniuses, the power of architecture can be a fundamental force for good. The 11,000 or so homes that Eichler built from 1949 to 1974 featured exposed post and beam construction, walls of glass, and simple rooflines. The open interior floor plans flowed from kitchen to dining room to living room, and tall ceilings were the norm; the overall effect is one of transparency. These design elements became so ubiquitous that they can be seen in many new Bay Area homes built over the past few decades. While it is easy to take this style for granted now (in fact it has become retro), back in the fifties modernist design marked a clean break from previous design approaches. More importantly, it was attainable by common middle class families who were moving up the economic ladder and viewed homes as places of leisure as well as comfort. Those cues dovetail very neatly with Job’s products, which were designed to be in the hands of millions, not just the elite. Steve Jobs home in Los Altos, California. While it may be presumptuous to think that a childhood home can be an elemental starting point for one of our greatest design geniuses, the power of architecture can be a fundamental force for good. The 11,000 or so homes that Eichler built from 1949 to 1974 had characteristics which would be later dubbed “California Modern” - exposed post and beam construction, walls of glass, and simple rooflines. The open interior floor plans flowed from kitchen to dining room to living room, and tall ceilings were the norm; the overall effect is one of transparency. These design elements became so ubiquitous that they can be seen in many new Bay Area homes built over the past few decades. While it is easy to take this style for granted now (in fact it has become retro), back in the fifties modernist design marked a clean break from previous design approaches. More importantly, it was attainable by common middle class families who were moving up the economic ladder and viewed homes as places of leisure as well as comfort. Those cues dovetail very neatly with Job’s products, which were designed to be in the hands of millions, not just the elite.